Villa Turk is small and friendly apartment complex within easy access of Hisaronu and the popular cafes, shops, bars and restaurants. 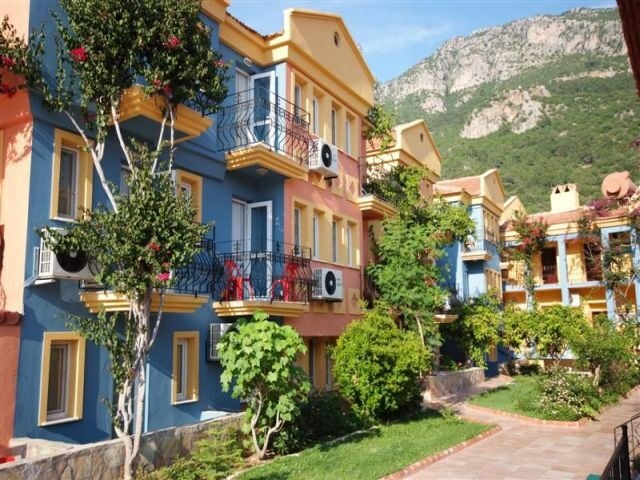 It is just a short dolmus (bus) ride away from the beach in Olu Deniz with the fantastic Blue Lagoon for swimming and sun bathing. These one bedroom apartments offer an excellent base for exploring the local area and is only 100 metres from the main road running from Ovacik to Hisaronu. 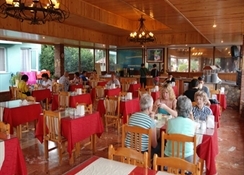 You can also enjoy the occasional Turkish Night at the sister residence, 'Turk Hotel', in Olu Deniz. Great budget accommodation in a superb resort making your summer holiday even more affordable! Local Tips: There are plenty of fascinating cultural sights to visit if you want to get out and about. Food, drink and entertainment: Snack bar by the pool. Sport, games and activities: Swimming pool with sun terrace. 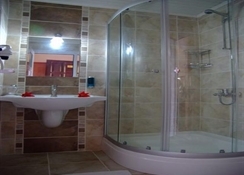 The Villa Turk apartments have one bedroom sleeping up to 4 people with either twin beds or a double bed, an ensuite bathroom with a shower, washbasin and WC plus a living area with sofa beds. The small kitchenette contains a kettle, fridge and 2 electric rings suitable for preparing light meals and snacks. All apartments have a private balcony or terrace, and air-conditioning and safety deposit boxes are both available at extra charge, payable locally.